Durham – the latest ODEON new build is well and truly out of the ground! The new six-screen cinema will form part of a major new development to be known as The Riverwalk (previously The Gates) and will be the city’s first dedicated cinema. 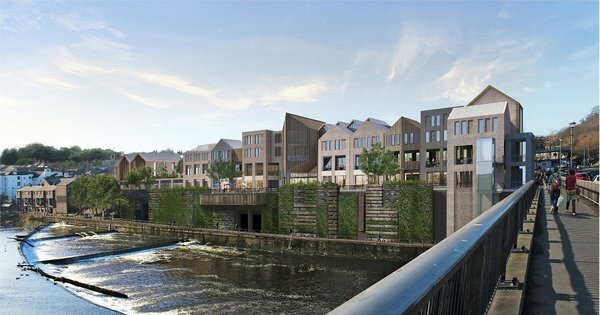 The £40 million redevelopment will bring 23 retail units, student accommodation and 35,000 square feet of new restaurants to Durham, all surrounding the brand new ODEON cinema overlooking the River Wear. Other tenants include Handmade Burger Co, Turtle Bay, and Thai River. The cinema will be in keeping with ODEON’s current refit schemes with luxury all-recliner screens. It will also include a cafe bar with an external terrace, giving stunning views of Durham Cathedral and Silver Street Bridge. It is due to be handed over to ODEON in the summer 2018, with an anticipated opening in Q4 2018. Although a small city, with a population of only 50,000, Durham has the third oldest university in England (after Oxford and Cambridge) with nearly 18,000 students. The city is also a major tourist destination.